We started enrolling Aria in Mathemagis when she turned four. Though not continuously, we are grateful for what Mathemagis has contributed to Aria’s study habits. Especially in her writing. 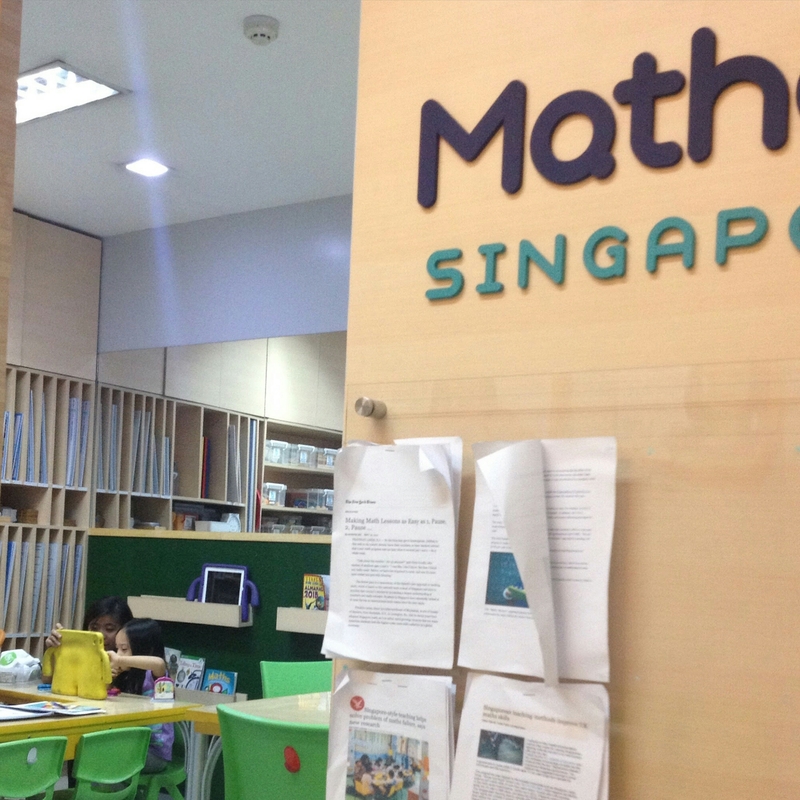 Mathemagis is a Singapore Maths tutorial center where kids can get a kickstart in loving and living Math. Kids learn from a variety of methods like worksheets, manipulatives, even iPad applications exclusively used in their classrooms. 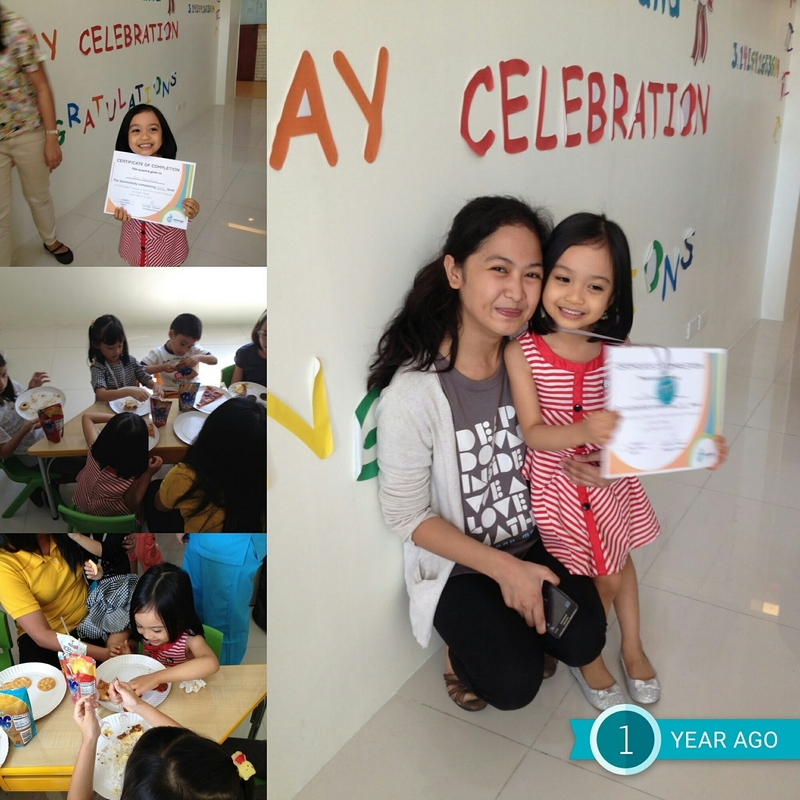 Their teachers are nurturing, and this is one reason why Aria loves Mathemagis. We are near the Makati Branch, so we enrolled there. Aria’s first teacher is Teacher Cherry, whom Aria calls her second favourite teacher (next to Mommy, of course!). She is now assigned in the Active Fun BGC Branch. The Makati Branch had activities like this. This was the Pi Day celebration (yep, on March 14, 2014!) and awarding for level finishers. Aria hurdled the first level for her age that time, with flying colours and lots of fun! Aria and Teacher Cherry during last year's Active Fun Halloween party. 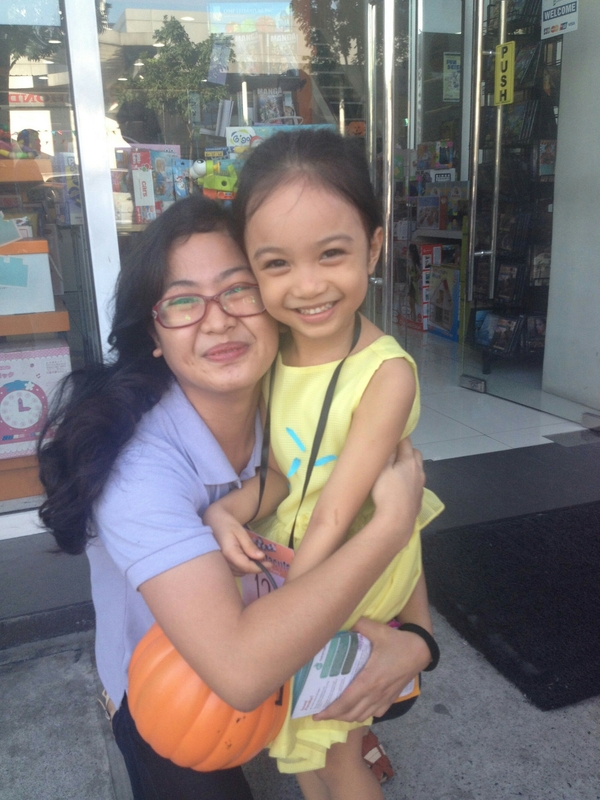 We chanced upon her while we were doing the trick or treating around Active Fun. Sneak peek: Aria on the iPad at Mathemagis Makati with Teacher Mika. We are enrolled at the moment, since she also takes Singapore Math for homeschool. It is a good supplement for our at-home lessons. And if you want to get to know more about their programs, check out these two events happening tomorrow. 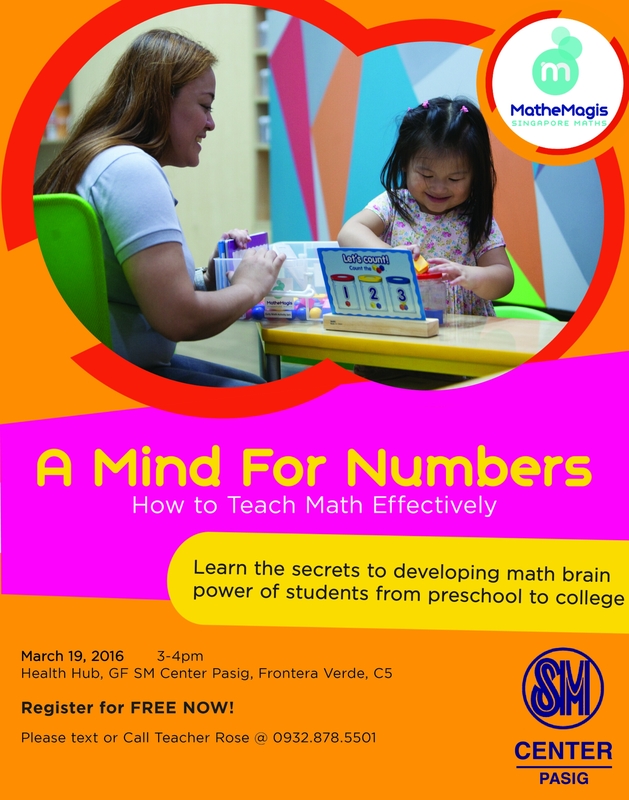 Seminar on teaching math effectively at the SM Center Pasig. March 19, 3-4pm. Free registration, just contact Teacher Rose at 09328785501. 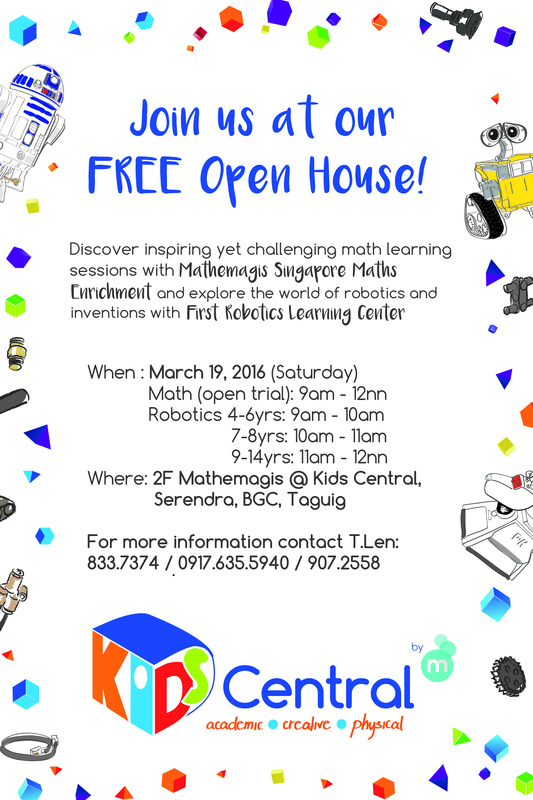 Memagis in partnership with Kids Central will be holding an Open House event this Saturday March 19 at our Serendra branch. 2nd flr Mall area above Conti’s Restaurant. 9am-12nn. Contact Teacher Len at 8337374 for more information. Summer is fun at Kids Central Makati! 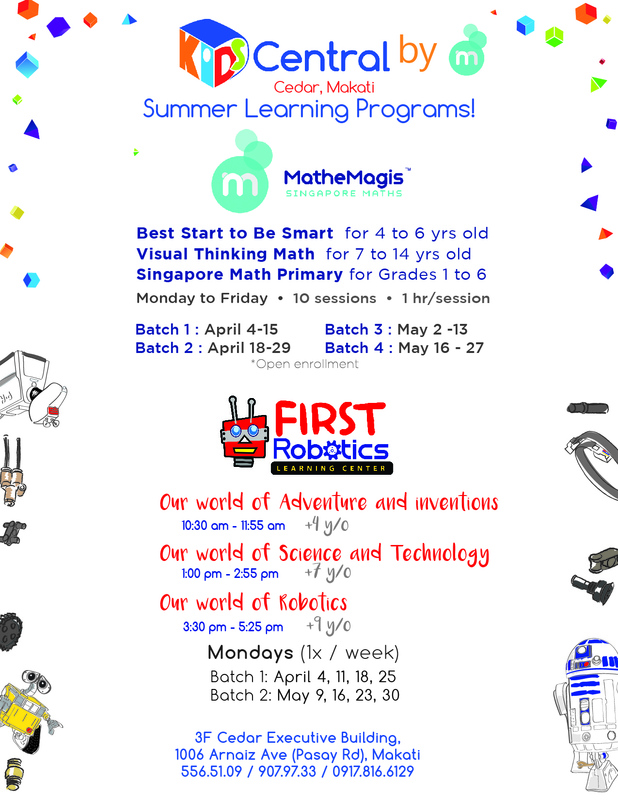 Mathemagis and First Robotics offer summer programs for kids 4 and up. Visit them at the 3F Cedar Executive Building, 1006 Arnaiz Avenue, Makati or call 5565109 for details.